Luckily for me, the girl who I gave it to happened to be an English teacher at the University of Utah whose critical-reading skills are mind-boggling. Although she did not like some of the songs I put on the mix, she said that the form trumped the function; that even the weaker songs were made intriguing by the album’s construction. Simply, she gave merit to my selfish ploy and made me sound smarter than I actually am. Over the musically desolate holiday break (few releases between mid-December and January) I had the same trick pulled on me. 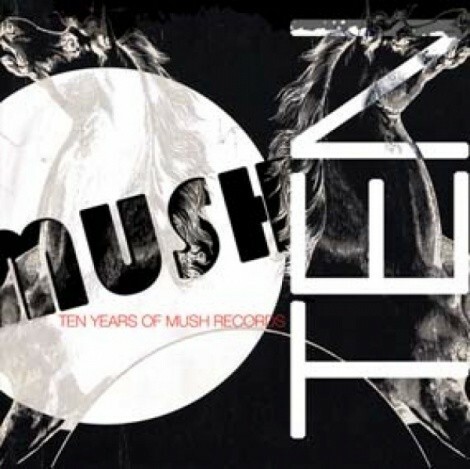 Ten Years of Mush Records is a mixtape of the eclectic label’s catalog from the last decade, which includes acts as diverse as cLOUDDEAD and Aesop Rock. While this is not a new concept (Dischord’s excellent box set comes to mind first), Mush artist Thavius Beck, whose production has appeared with the likes of Saul Williams and Nine Inch Nails, has edited the compilation into two 40-minute continuous tracks. And while these tracks stand alone, the construction makes it exponentially more exciting. Mix One acts as the warm-up half. The sleepy mix of shoegaze, dream-pop, and folk acts as the soundtrack to a perfect make-out session, especially when the exotic plucking of Devendra Banhart’s “La Semilla (The Seed)” floats in. Although there is little need for Beck’s mixing trickery for music that easily fades together anyway, the arrangement masterfully builds in anticipation for Mix Two. The only speed bump comes with Her Space Holiday’s bouncy “Sleepy Tigers”—a fine song by itself, but so different from anything else on Mix One that it sticks out like a sore thumb.